We hope you will join us for a fun filled, magical night as we raise funds for the Hope House. 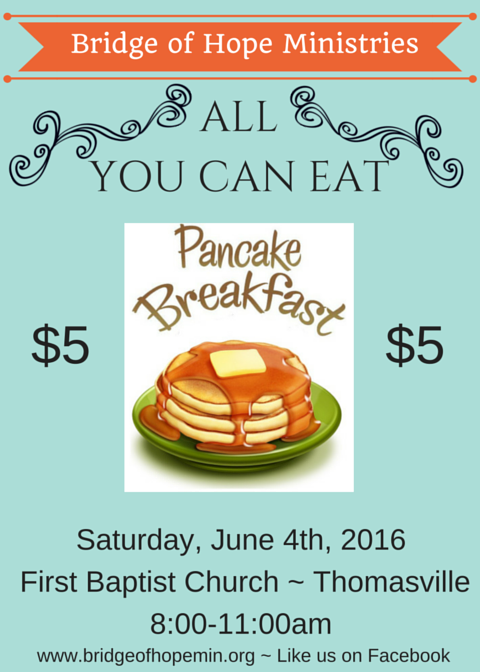 Come enjoy live music, delicious food, and great fellowship. We will have auctions and a Draw Down. We are excited to announce our 3rd annual Hope Ball Fundraiser will be held on January 21, 2017 at the James Ranch in Pocahontas, AR. This is our largest fundraiser of the year and we invite you to come join us for a wonderful night. The Hope Ball is a semi-formal event with dinner catered by Beverly's, live music by Jason McNabb, and a live and silent auction. For more information please contact Amy Holt at 870-892-5588 or info@bridgeofhopemin.com. This week we are hosting a Pledge Drive and a Pancake Breakfast. We need monthly donors to help make our ministry a success. Our home for boys is almost complete and then we can apply for our license from the state. To get our license, we have to prove we are financially capable of taking care of the house and the boys. Your monthly donation can help us cover all of our monthly expenses. 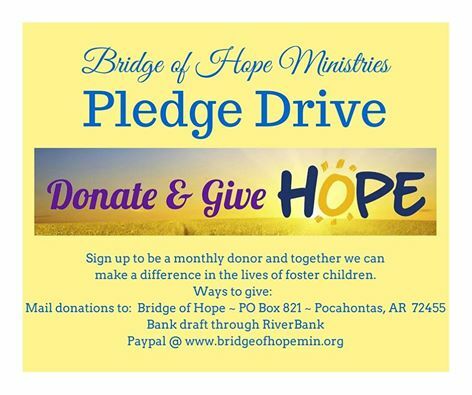 Please prayerfully consider becoming a monthly partner to Bridge of Hope. We are pleased to announce that we will host Hope Ball 2016 on January 23rd. It will be at the James Ranch again this year. Last year we raised $10,000 for our ministry and we are hoping to surpass that amount this year. We hope you will come join us for a fun filled evening while raising money for our boys' home. The dinner will be catered by Beverly's, there will be live music provided by Jason McNabb, and we will have a silent and live auction. Contact Amy Holt for ticket prices @ 870-892-5588 or info@bridgeofhopemin.com. Bridge of Hope Ministries is hosting it's first annual 5K fundraiser. The Run for Hope 5K will be on April 18th at Black River Technical College. The race begins at 8:30 am, with registration ending at 8:00 am. Cost is $20 and includes a race shirt. You can register online at http://racesonline.com/events/bridge-of-hope5k. There is also a form in the paper. Also, see our Facebook page for a form to print. If you register by April 10th, you can pick your shirt up on Friday, April 17th at the First Baptist Church between 6-8:00 pm. We hope to see you there! Please invite your family and friends. 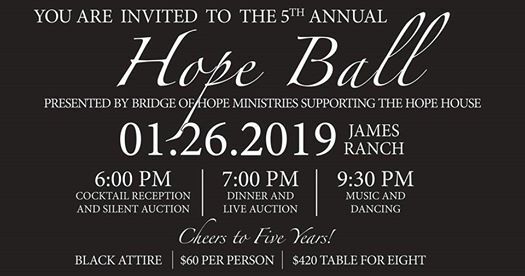 On January 17th, Bridge of Hope hosted it's 1st Annual Hope Ball. It was held at the beautiful James Ranch and was attended by about 200 people. There was a silent auction, a drop ticket auction, a wonderful catered dinner provided by Beverly's Catering, and live music by Jason McNabb and Zac and Emily. The night was a huge success bringing in just over $10,000! We were so pleased with the evening and we look forward to Hope Ball 2016.